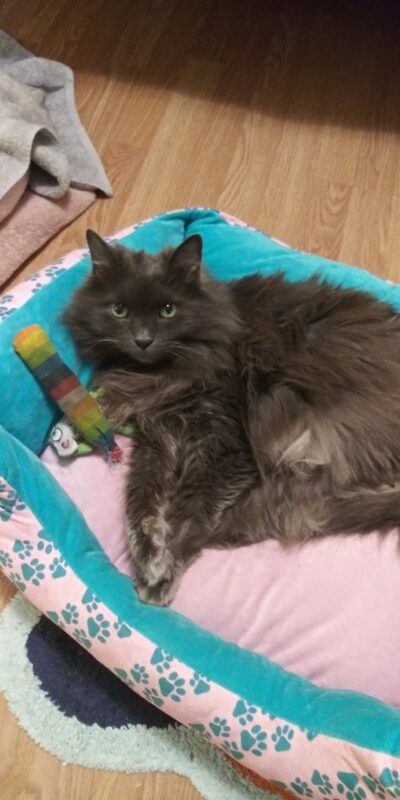 My name is Smokey and I am truly a sweetheart… I am looking for my furever home, but in the meantime a loving Kitty Mom has fostered me since November. We are taking our time to find the best fit for me. 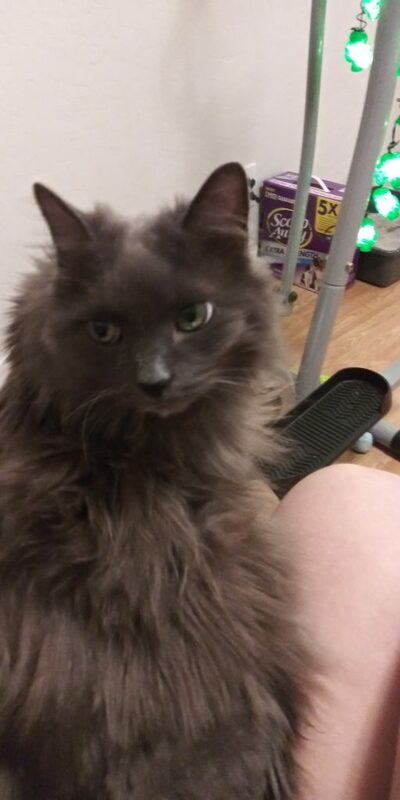 I had been an outside kitty as of last April 2018 at someone else’s place I found on my journey. She couldn’t afford to feed me anymore and it was getting too cold outside; after an ad was placed for fostering me I have been with my foster Kitty Mom ever since. She already has a cat and dog, and they aren’t very accepting of me, I’m sure it is because I’m so pretty and they are jealous of their Mom’s time. 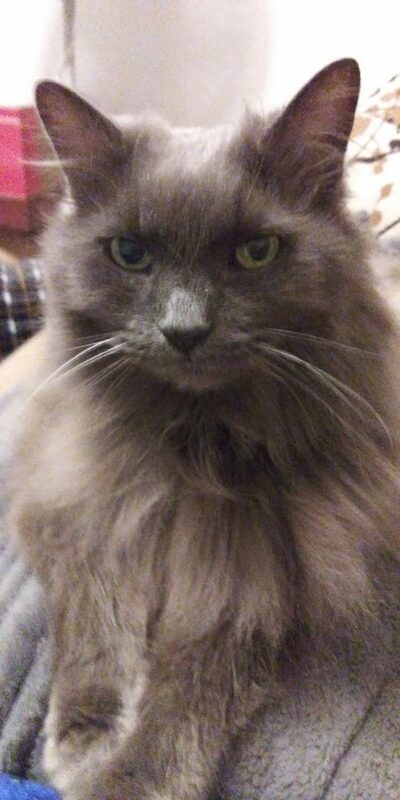 She had me checked and I was chipped in 2004 as a kitten. We were all surprised that I could be 15, because I have so much energy for a senior. I’m in my own room for now, but can’t wait to be with my new owner in our own home. All I want is to have companionship, love and time to cuddle on a warm and loving lap. I still have a lot of playfulness in me, I love to play with toys, and run and jump around on my cat tree. I’m ready to make you the purrfect companion. I’m a gentle, nurturing older soul that still shines… I would be ideal for an older family or a perfect kitty for someone who wants a quiet, friendly pet with good house manners. Despite my age, I’m young at heart, I have a cool and calm nature when I want to, but with that said, I still of course love to play, and have plenty of affection to give away. If you want a balanced, loving kitty I’m the one for you! I will have all my vet checks up to date when you are ready for me.